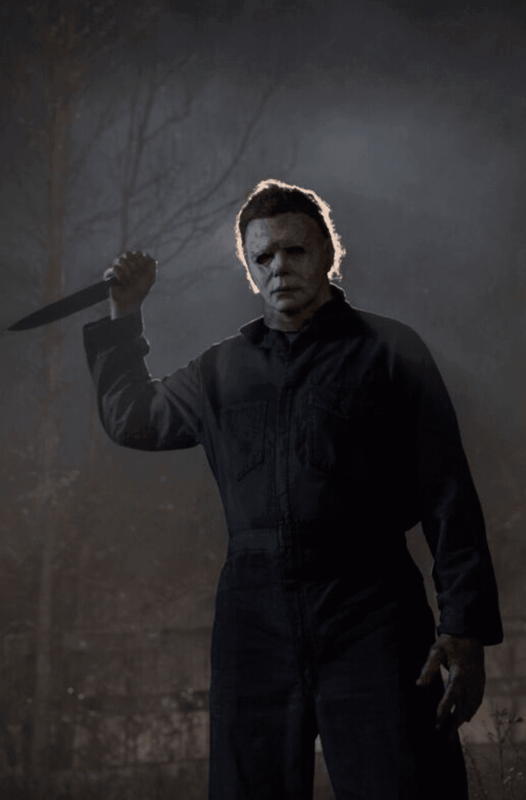 Today we have been treated to a teaser video and new image of Michael Myers for Halloween. USA Today also released some new plot details about the film. “A British documentary crew comes to the States to visit Michael in prison for a retrospective of the maniac’s night of terror — but their project becomes way more interesting when Myers escapes custody, retrieves his signature mask and seeks revenge on Laurie, with others naturally being part of his impressive career body count along the way. Jamie Lee Curtis is returning to the Halloween franchise as Laurie Strode, with the rest of sequels being ignored. Judy Greer will be playing Karen Strode, Laurie’s daughter. Andi Matichak is playing the role of Greer’s daughter and Curtis’ granddaughter. It will also star Virginia Gardner (Runaways), Miles Robbins (My Friend Dahmer), Dylan Arnold (Mudbound), and Drew Scheid (Stranger Things).